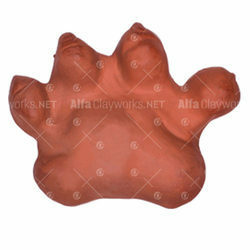 Our product range includes a wide range of terracotta/clay round mask, terracotta long mask set, terracotta wall hanging, terracotta tiger foot print, terracotta wall hanging mask and terracotta golden mask. 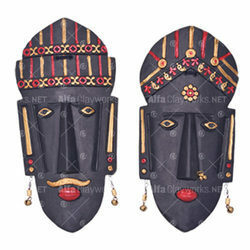 Features Trendy Mask Will Heighten the Looks of Your Wall. 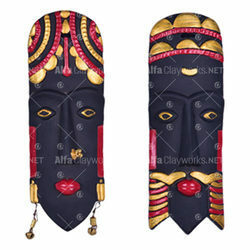 Great for any Tribal or tiki wall décor. 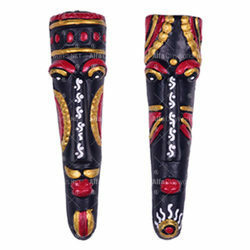 This masterpiece is for all those who love to give traditional touch to living space. 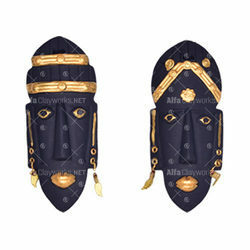 The trendy wall hanging mask will highlight and uplift the looks of bare walls. 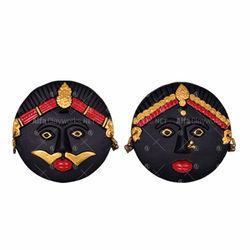 The female mask is wearing beautiful earring and nose ring. Made of clay and painted for that appealing seamless finish. Provided with hooks for hanging. Features Hang Real Impressions of a Tiger on Your Wall. Clay Made Indian Tiger foot print Wall Hanging. Created / traced from the impressions of a real Indian tiger. Can be stuck / hung to the wall. Just place it on the table, it becomes a unique paper weight. Easily cleanable by wet / Dry Cotton Cloth. 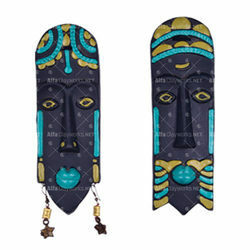 Great for any compact Tribal or tiki wall décor. An added advantage, Indian fish curries cooked in clay pots have a longer shelf life. 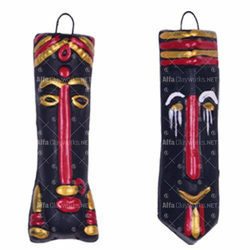 Looking for Terracotta Wall Hanging ?